How Much Can the RAM 1500 Tow Around the Farm? We all need a trusted, dependable, and comfortable pickup truck to use on the farm, as they always come in handy for everything from quick trips to the barn for bed & breakfast runs to hauling equipment like water tanks. Their strength and sturdiness are what draws us to choosing the right pickup, and the 2019 RAM 1500 is surely a perfect match for any type of farmer. 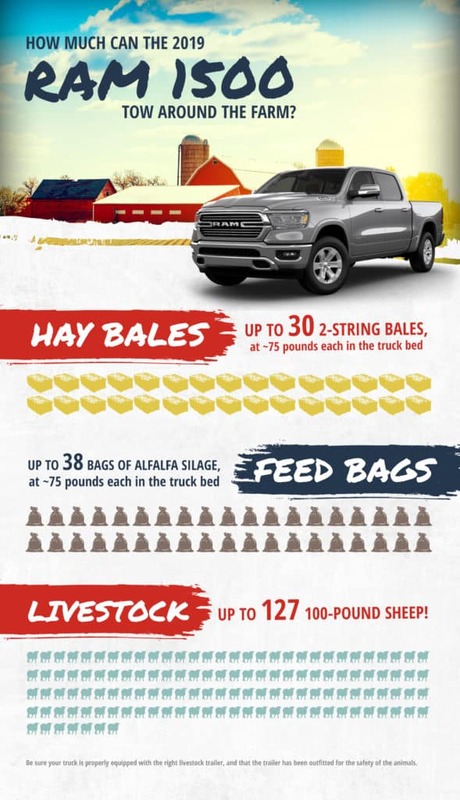 As you can see, the 2019 RAM 1500 is more than capable of handling everyday tasks, but how does it hold up around the farm? When properly equipped, the RAM 1500 can take on whatever tough task you need it to do. It’s able to be hitched up to both a gooseneck and standard receiver trailer, and it sports a durable bed so hauling and towing is not an issue. So, when you want a pickup that’s a true Cowboy Cadillac, look no further than the RAM 1500. Before loading and hauling, always ensure that you are not exceeding the legal weight limit when out on the open road. Exceeding these limits can result in a hefty fine. Additionally, when transporting livestock, be sure that you keep your animals healthy and safe, and you load them in the proper trailer to reduce stress. The 2019 RAM 1500 is ready for you to explore at our Crawfordsville dealership! 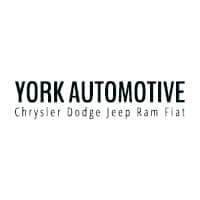 Take it for a spin and get a feel for this powerful pickup, or get in touch should you have any further questions, like how to lift your truck for added ground clearance.